Seacrest's deal is worth around $15 million a year. 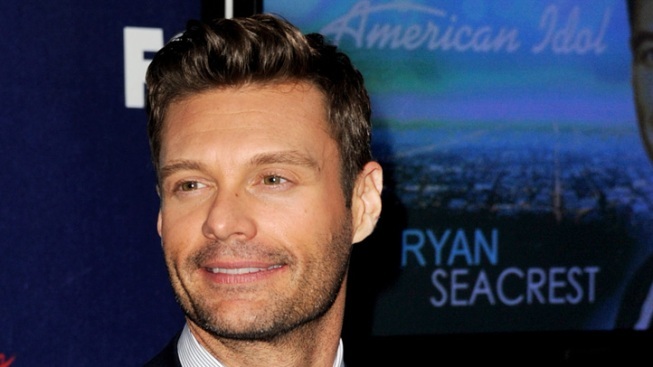 Ryan Seacrest is staying on at "American Idol." On Monday night, FOX confirmed that the host will continue to present the reality singing competition. "For the last 11 seasons, I've had the privilege to be a part of one of television's most iconic shows. It's been a wild ride, and I'm excited for my journey with 'American Idol' to continue," Seacrest said in a statement. "The legions of fans, amazingly talented contestants, judges, and producers, along with the hard working 'Idol' crew, impress me every time we go on air and make hosting the show a dream job. I especially appreciate the support and confidence of Peter Rice, Mike Darnell and the entire FOX team – as well as the support of everyone at FremantleMedia North America – and I look forward to continuing our partnership." Ryan's contract with FOX was up at the end of the current season, and producers had hoped to keep him. According to The Hollywood Reporter, Ryan's new deal extends for two years and is worth around $15 million a year. While no details about his contract were released by FOX on Monday night, the "Idol" bosses expressed their joy at keeping him on. "Ryan is one of a kind," Mike Darnell, President of Alternative Entertainment, FOX Broadcasting Company, also said in a statement. "His ability to engage the viewers, keep the contestants at ease during intense moments and adapt to any situation, especially during the live shows, solidifies him as the absolute best in the business. He is an integral part of why 'American Idol' is a true phenomenon, and we can't imagine doing this show without him." VIEW THE PHOTOS: 'American Idol' Season 11 - The Top 13!